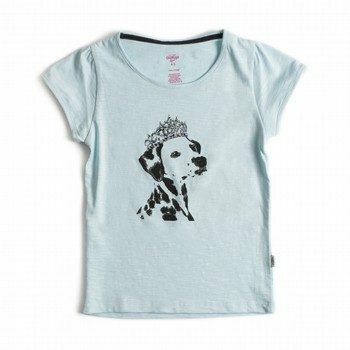 Light aqua blue t-shirt with dalmation dog screen print. Sparkle gem applique detail on princess crown. Easy and comfortable top to wear with colourful summer shorts or OshKosh denim. 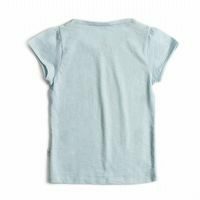 100% cotton slub yarn jersey.